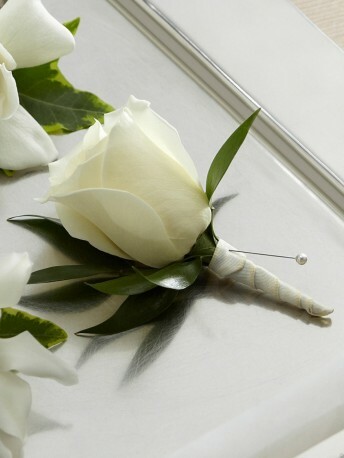 Create the classic picture of wedding elegance with this white rose boutonniere. A single white rose is chosen for its absolute perfection then accented with lush greens and a white satin ribbon to offer its beauty and sweet fragrance in honor of the wedding celebration. Approx. 4"H x 3"W.